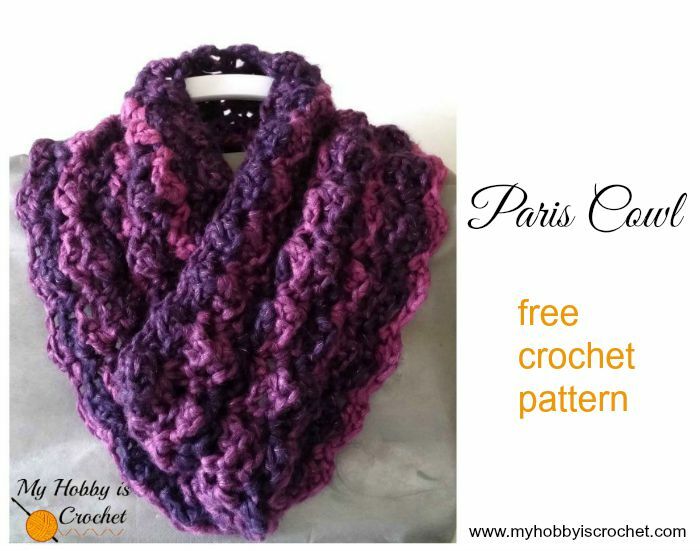 The Paris Cowl is a soft and cozy crochet cowl that works up very fast and uses only one ball of bulky yarn. 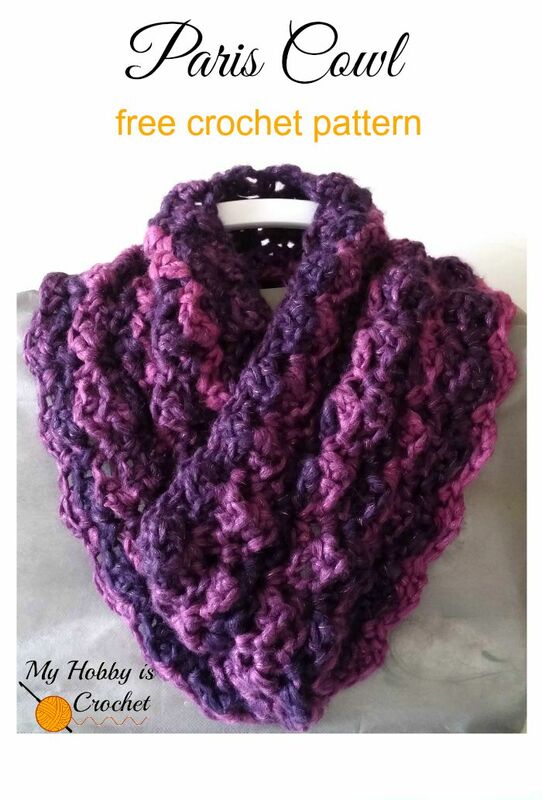 Named after the Paris stitch pattern, this crochet cowl is sure to impress. Worked in the round, with only 1 row repeat, the Paris Cowl is very easy to crochet! I hope you will love it as much as I do! - group: (2dc, 2ch, 1sc) into same st.
Each round will end with a sl st to top of ch 3/ alternative to the top of csdc. Start with 60 chains, join with sl st to to first ch. Round 1: ch3/ alternative csdc, (1dc, 2ch, 1sc) in same st as the beg ch3, *sk 2sts, (2dc, 2ch, 1sc) in next st *, repeat from * to * till last 2 sts, sk last 2sts, sl st to top of beg ch3/csdc. Round 2: sl st to next dc, sl st to next ch space, ch3/csdc, (1dc, ch2, 1sc) into same ch sp, *sk next sc and 2dc, work (2dc, ch2, 1sc) into next ch sp *, repeat from * to *, till last ch sp, sk last sc and 2 dc, sl st to top of ch3/csdc. Round 3 -11 repeat as round 2. Cut yarn. Fasten off. 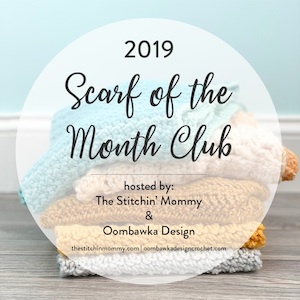 Facebook, Pinterest , Twitter , Google+ , Instagram and Bloglovin!